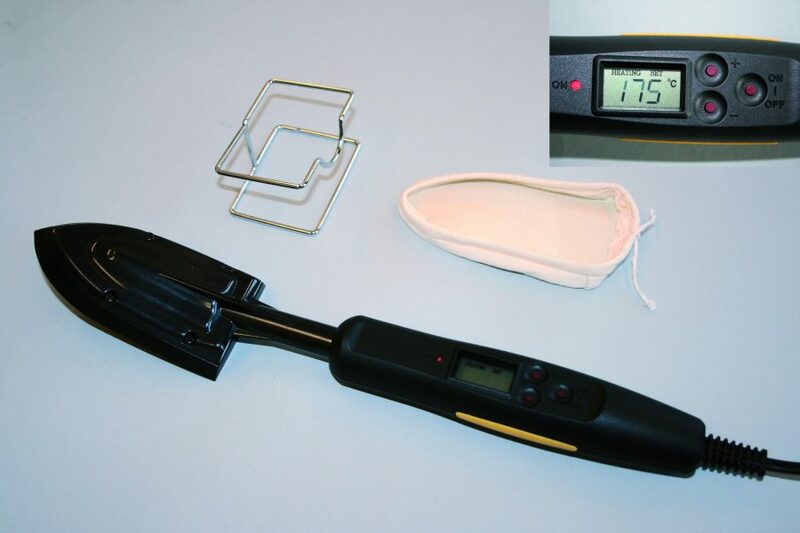 Practical mini heating iron for processing filmoplast R®. Practical heating iron for processing filmoplast R®. Repair torn pages or documents or use the heating iron to fix fragmented documents on the work table of the HSM heat sealing machine.